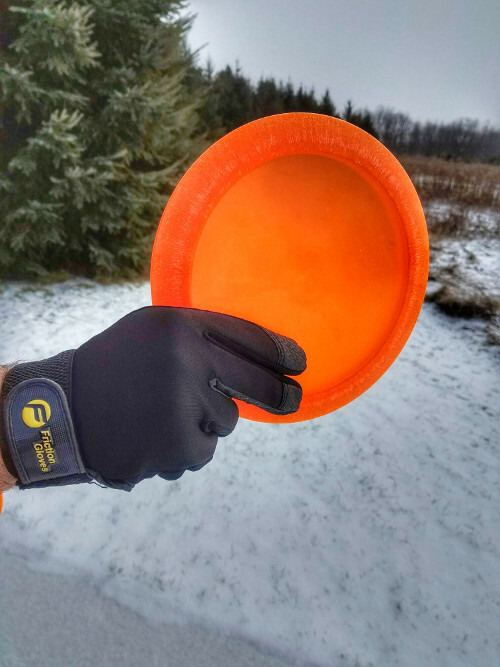 Continuing our exploration of portable disc golf baskets, we’ve picked up a Dynamic Discs Recruit basket. Read on to see how it compares to other targets. 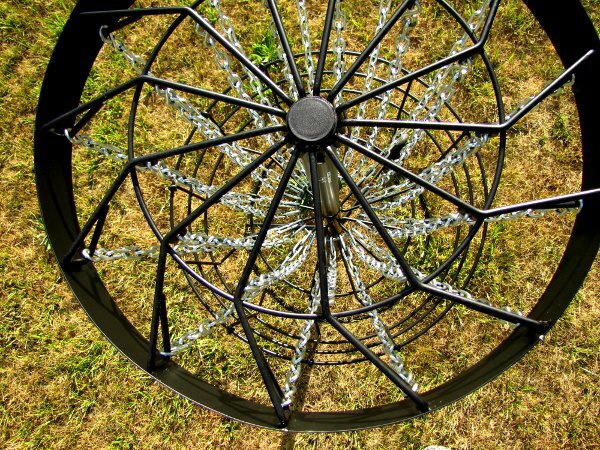 In our previous review of the MVP Black Hole Pro basket, we mentioned the various categories of practice baskets ranging from ultra compact and portable to a replica of your local course’s target. 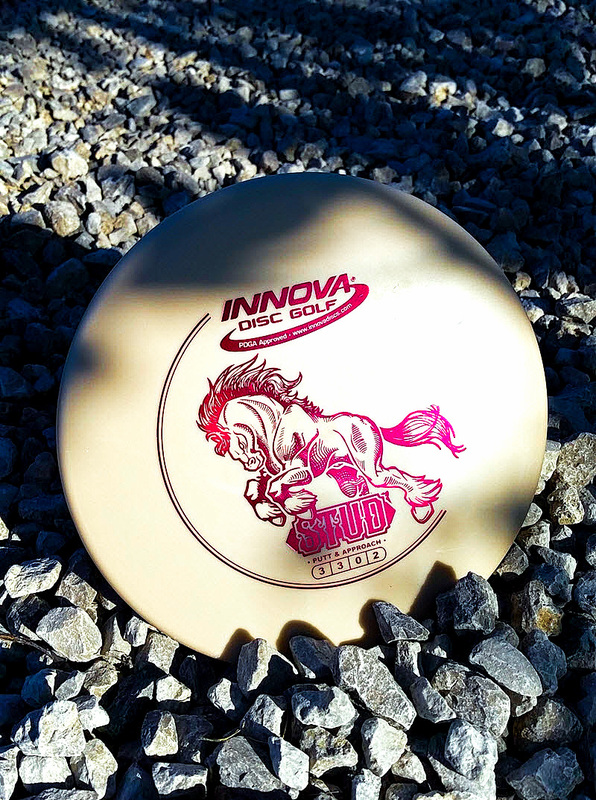 The Innova SkillShot is simple to transport and lightweight with a tradeoff of fewer chains and a smaller target. The MVP Black Hole Pro is larger but still easy to transport. 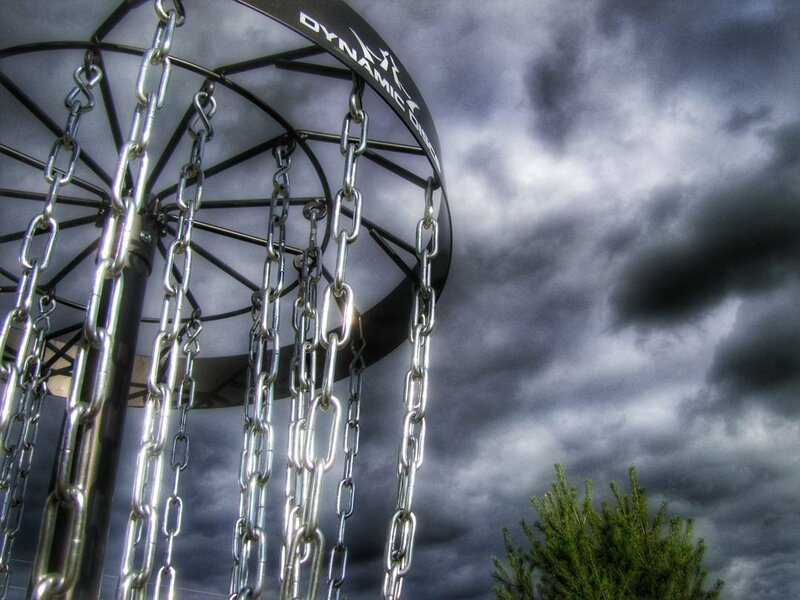 The Recruit basket by Dynamic Discs is, as Dynamic Discs states, “tournament quality at practice price.” With 26 chains in two layers and a size similar to baskets at your local park, the Recruit is here to impress. I’m really glad the circular base includes a wheel as this weighs nearly 70 lbs! You won’t want to move it too far or over uneven terrain, but the wheel sure helps placement. I’m interested to see how the top plate handles the extra torque placed on it while using it to steer the basket around the yard. Speaking of the top plate, the header piece of the Recruit basket is taller than many other baskets I have used. 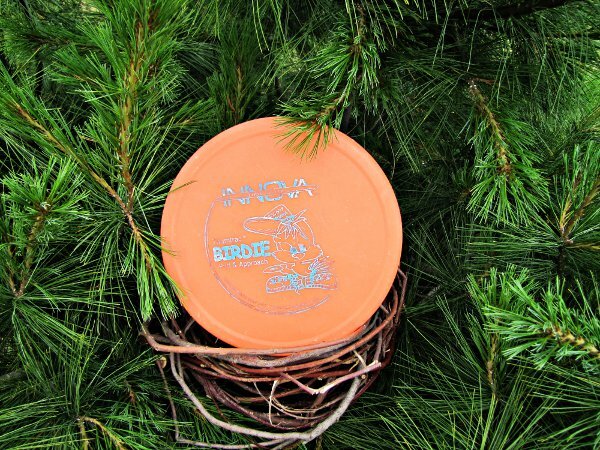 This includes the MVP Black Hole Pro, but also many course baskets like the Innova Discatcher. 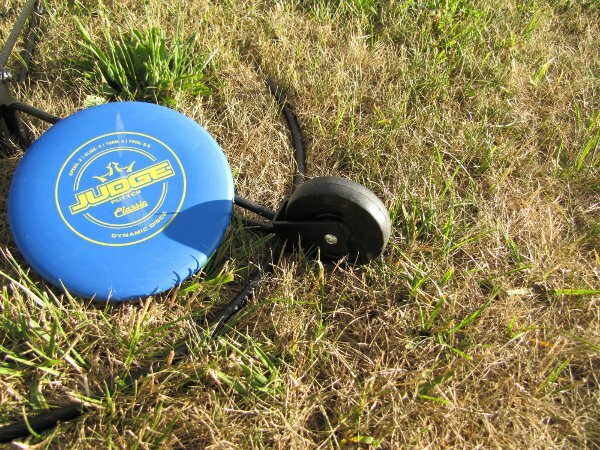 I can tell you it makes a solid clank noise to taunt your missed putts. I won’t know how it holds up to the elements for a while and I don’t plan to leave it outside for extended periods of time. It seems very well constructed and is extremely solid when in use. As a compromise, there are some extra steps to take when assembling/disassembling the Recruit. It is still technically portable and would work great as a temporary tournament setup or an all day event. I wouldn’t want to tear it down and reassemble it daily though. The top plate is thick, the cage is deep, and the chains are high quality. My favorite feature, though, is the pattern of the cross bars on top and underneath the cage. It adds nothing to the functionality but catches my eye. 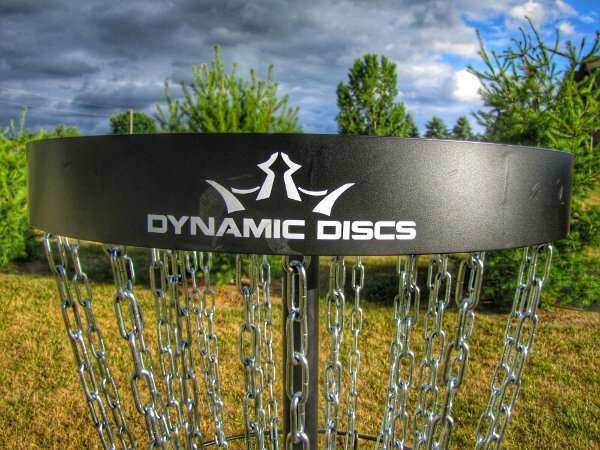 Overall, the Dynamic Discs Recruit basket is beautiful and offers amazing performance for home practice. 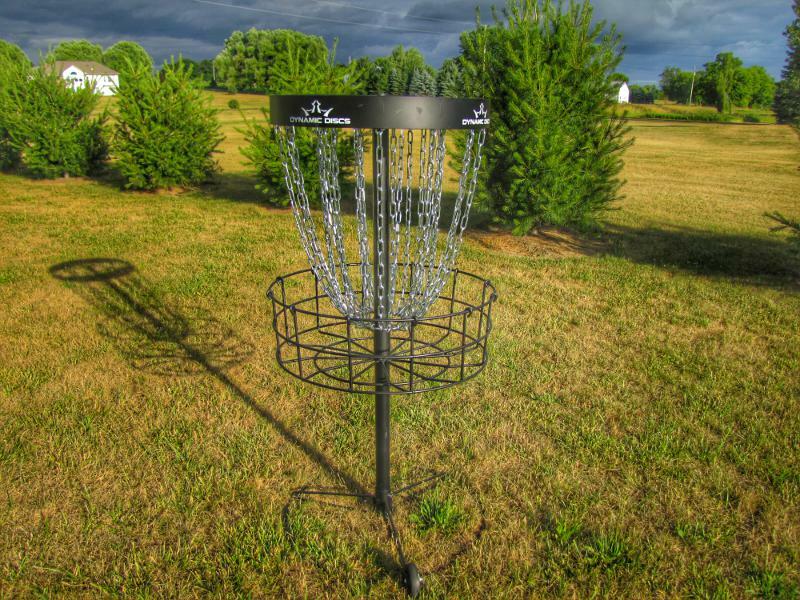 At $199 this basket is at the high end of the practice basket price range and may be more than you want to spend, but for the extra money you get a portable basket that will best replicate an on-course experience. 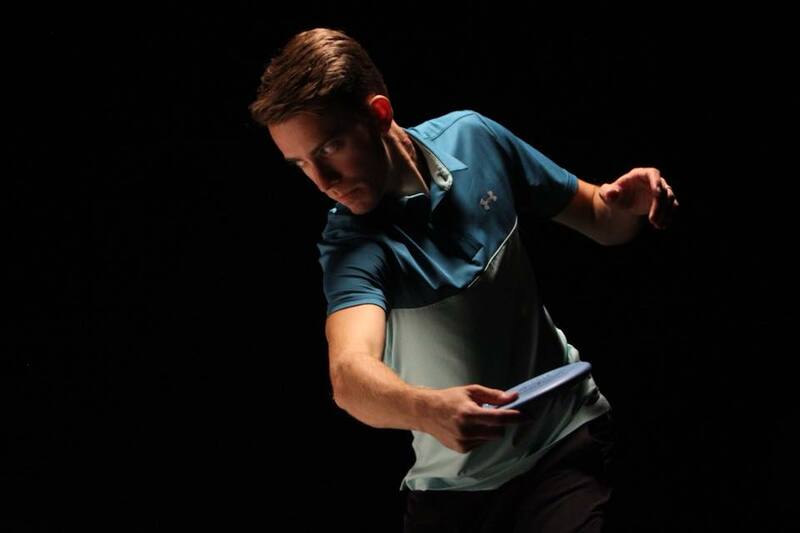 You can’t go wrong with the Dynamic Discs Recruit for your home practice needs. 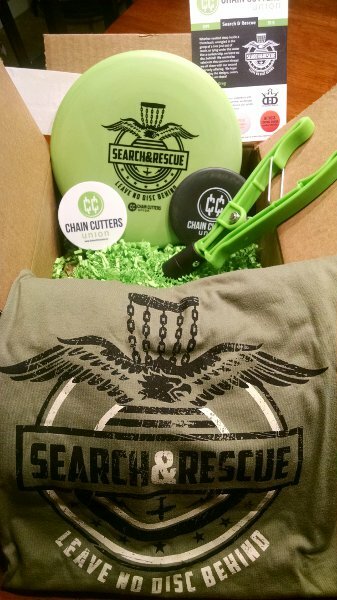 Consider supporting us and check out the Recruit on Amazon through our link! Great to see these reviews keep it up. Thanks Simon! That’s very informative. I’m no basket engineer but I see what Simon was saying. Take a look at the top down picture for reference. A disc entering from the right will cause the chains to give a little, potentially accepting a more firm throw. A disc entering from the left causes the chains to stay in place, potentially causing extra chain retaliation and a potential spit-out.